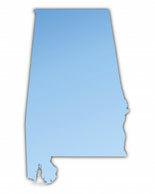 The state of Alabama enacted a new law on 05/21/2009 concerning the Boxing Commission. The new law, which is labeled SB 98, produces the Alabama Boxing Commission. SB 98 now requires promoters to be licensed and must acquire a performance bond in an amount and under the conditions that the commission will establish. Also, any individual boxing promoter is required to post a permit for every match and the Boxing Commission can ask for a performance bond with any permit as well as the license bond. Your boxing promotion business needs to start locally and expand gradually to gain the credibility needed to plan premier fights.